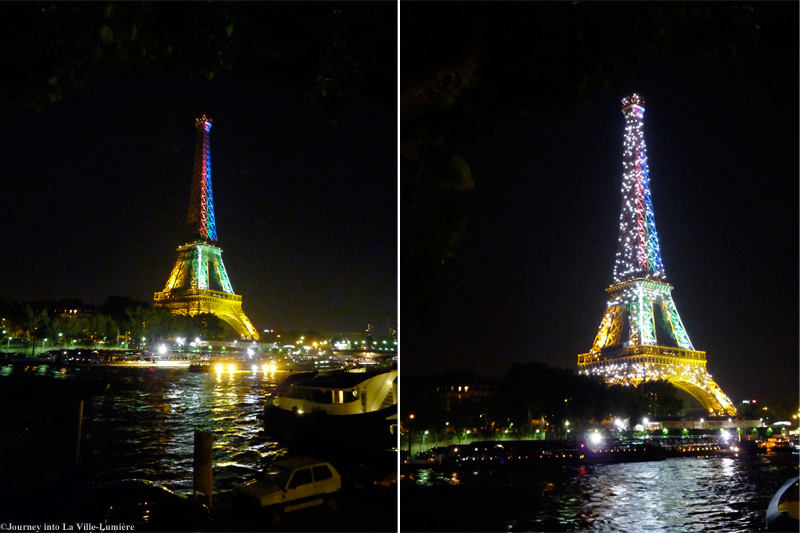 EN: Last night, I decided to go for a walk alongside the Seine as the weather was nice and it wasn't raining for the first night in a while. 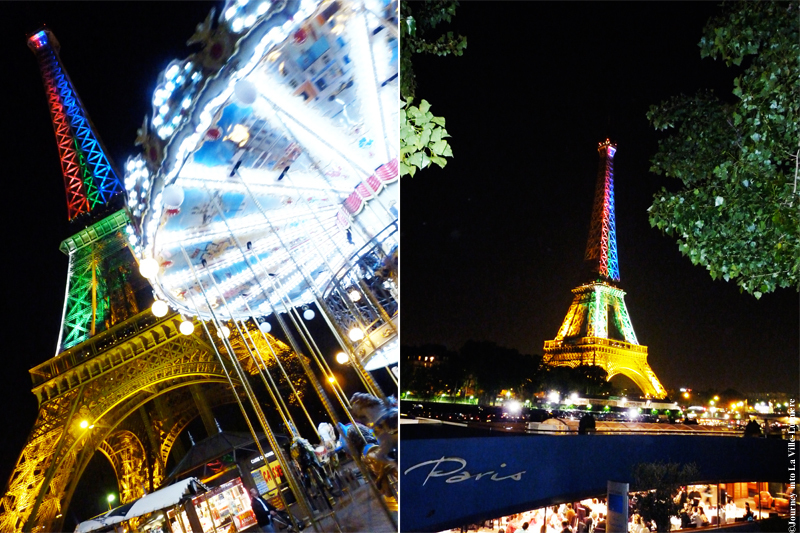 Paris was buzzing with life, people walking hand in hand, camera flashes coming from every direction like shooting stars and everyone's attention was focused on HER. 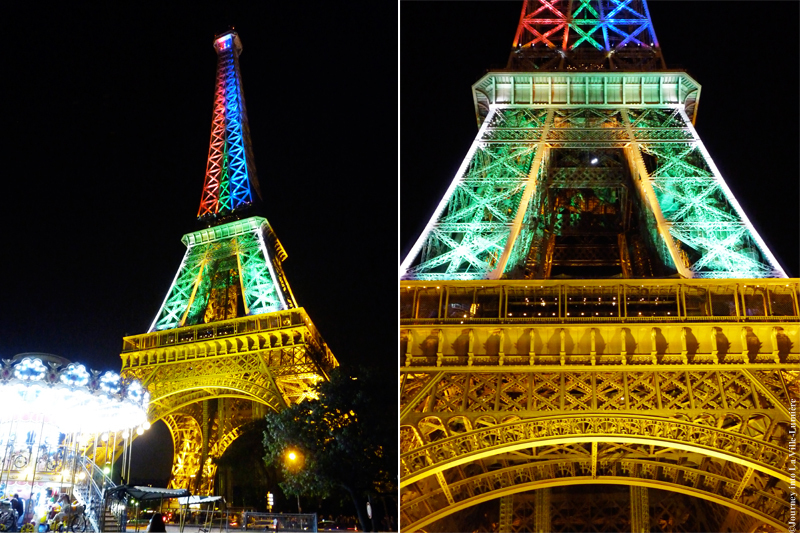 The beautiful and iconic Eiffel Tower glowed in the colours of South African flag, What a sight! 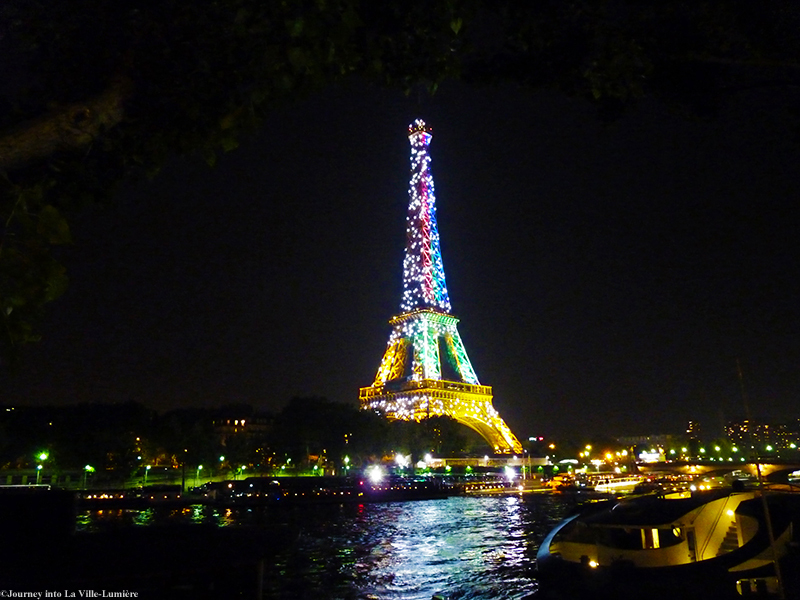 At the stroke of midnight, thousands of sparkling lights started to dance on the tower and you could hear cries of enthusiasm and clicking of cameras all around. Again and again I fall in love with this spectacular "show." 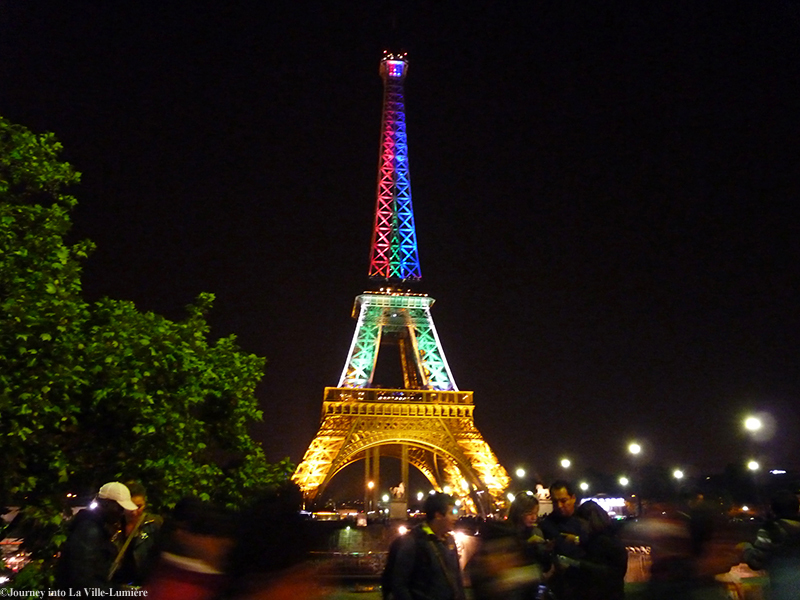 Many South African artists, academics and sportsmen will bring a touch of South Africa to France to strengthen the relations between these two countries. If you can, you should go and see the lights for yourself as tomorrow is the last day. Wishing you all a wonderful weekend with a promising weather, at last! SK: Vcera vecer som sa vybrala na malu prechadzku pozdlz rieky Seiny, lebo pocasie sa konecne umudrilo a po dlhej dobe neprsalo. Pariz bzucal zivotom, ludia prechadzajuci sa ruka v ruke, blesky fotoaparatov prichadzajucich z kazdeho smeru ako padajuce hviezdy a kazdeho pozornost sa sustredila len na NU. Krasna a kultova Eiffelova veza ziarila vo farbach vlajky Juznej Afriky, Uzasny pohlad! Uderom polnoci sa na vezi roztancovalo tisicky jagavych svetiel a vsade naokolo bolo pocut vykriky nadsenia a cvakanie fotoaparatov. Znova a znova sa zamilovavam do tejto velkolepej "sou". Mnoho juhoafrickych umelcov, akademikov a sportovcov prinesie nadych Juznej Afriky do Francuzska na posilnenie vztahov medzi tymito dvoma krajinami. Ak mozete, urobte si aj vy malu prechadzku okolo Eiffelovky, lebo juhoafricke farby svietia iba do zajtra. Prajem vam vsetkym nadherny vikend s peknym pocasim, konecne!